Giving Day 2019 - Give Now! On Wednesday, February 27, from 5 pm – 7 pm, the Friends of the Arboretum Board of Directors is hosting a fantastical Alice in Wonderland Mad Hatter Tea Party themed event, in anticipation of the completion of a South African Garden rejuvenation project. Come ready to enjoy good company, play whimsical games, and perhaps make a wild hat to take home. The event will take place in the Hort II Hall, near the Arboretum's Administrative Offices and Jean and Bill Lane Library. A Maze garden, spinning 6-8 feet tall Restio species together in a traditional labyrinth, empowering a soul-searching time of fun and contemplation. A Grove of Silver Trees, glittering in the sunlight and growing among a colorful wave of heathers. 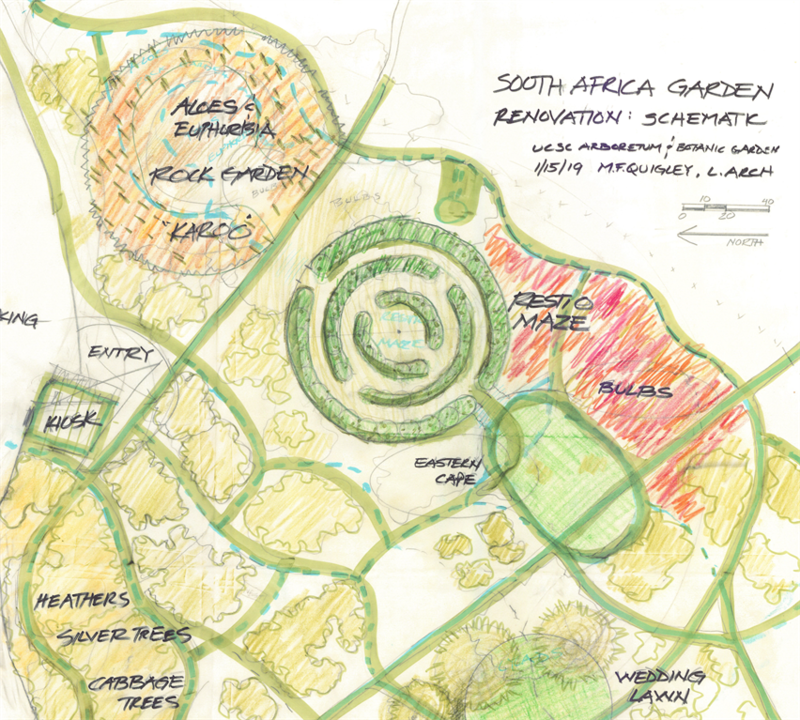 The end result will be the beautifully designed garden, yet your gift will do so much more. Every dollar donated goes towards the education of 20 current UCSC students in horticulture, plant biodiversity, and the practice of public garden management. And their work will be instrumental in the completion of the project. In September, 2019 donors will be invited to a special reception showcasing the artfully and expertly constructed garden displays, along with an insider's peek at how it all came together.